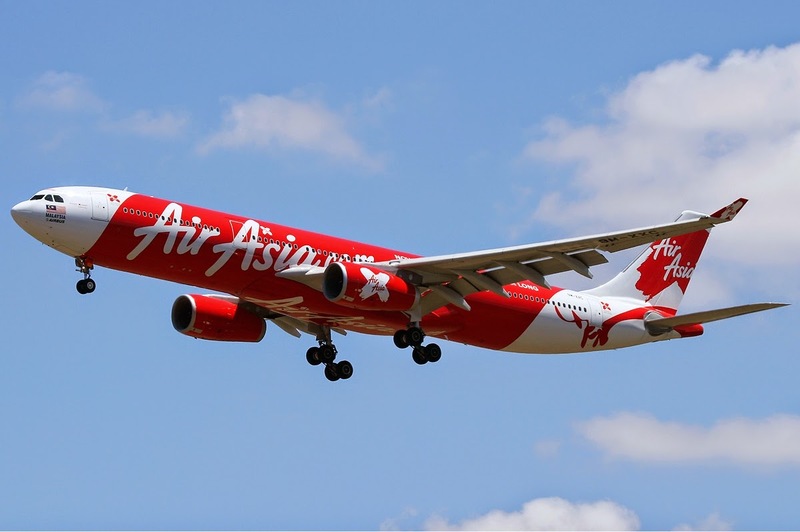 Due to the recent AirAsia tragic accident, the airline has now been listed as one of the most dangerous airlines in the world! A new ranking list of the World’s Most Dangerous Airlines has been made by Australian website AirlineRatings.com and three AirAsia subsidiaries airlines; Malaysia, Indonesia and Philippines, are included in the list, scoring 3/7, 2/7 and 3/7 stars respectively. 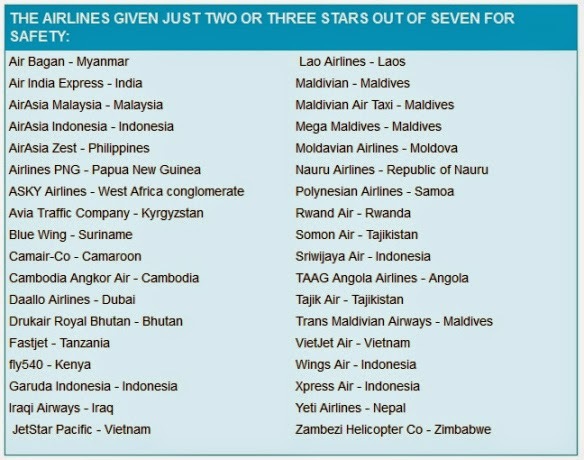 Surprisingly, despite the missing MH370 and the gun-downed MH17, Malaysian Airlines (MAS) is not included in the list as it scores a fairly higher than average stars, 5/7. These five airlines have been banned from the European Union Member States and is named as ‘strongly advised against’ flights in the United States, UK Dailymail reports. 149 airlines scored 7/7 stars while 58 scored 6/7 stars and around 41 scored three stars and less. AirAsia is known for winning the World's Best Low Cost Airline for six consecutive years, 2009 to 2014. Now, it will probably be known as the World’s Most Dangerous Low Cost Airlines.